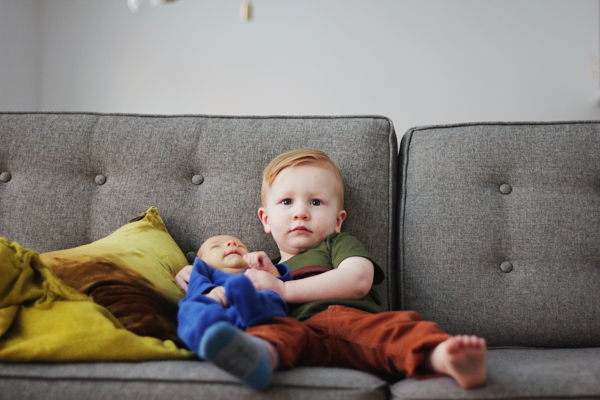 Snapped these photos of Wyatt and his little brother Cal one afternoon while Junie was sleeping. 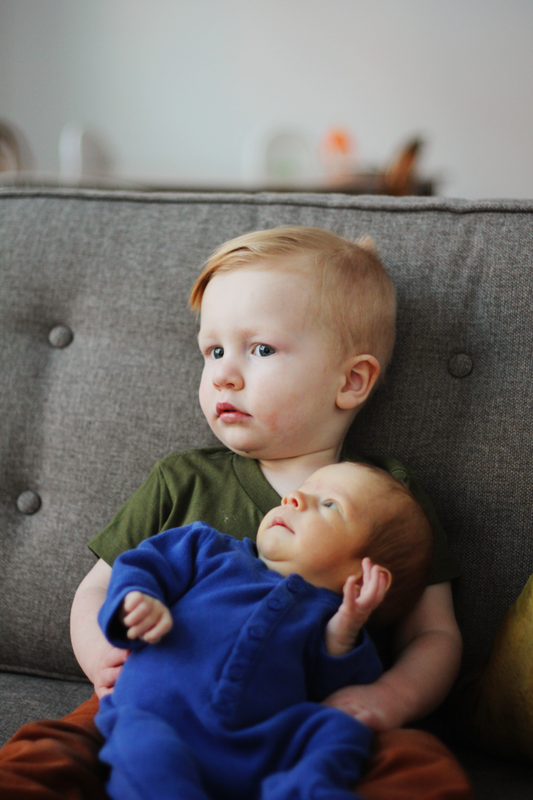 Wyatt asks to hold the babies often, and it's so cute to watch how gentle he is in those moments. 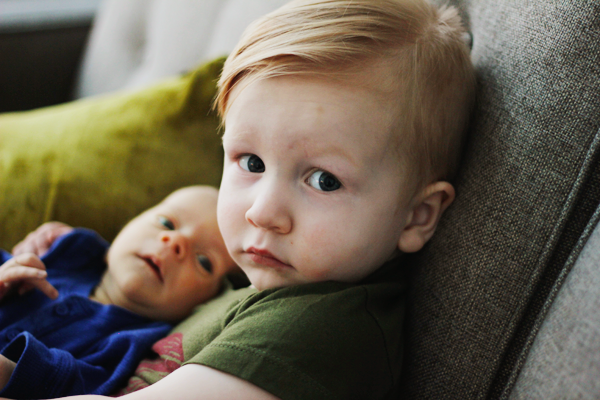 It's hard to imagine they will all be running around together in another year or two. I actually can't wait—Wyatt is always cracking me up and I am just loving the stage he is in right now. When Cal & June get to be his age it will be such a party.